Damsons may be a labour of love but they are worth it for the taste and the deep vibrant colour. If you find some, pick them and remember where you found them for next year. 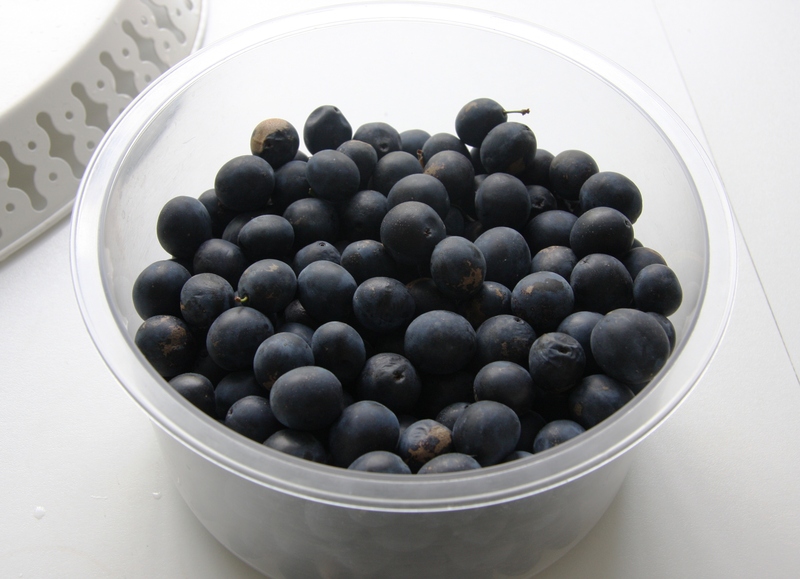 Having been on the lookout for them this year – they look like large sloes and can be easily confused for them – I have been very lucky and we recently managed to pick 1.5kg in no time at all. Damsons are only small and it is hard work removing the stone from the centre. They also stain your hands and I find they irritate mine really badly as well. This time I bought disposable food handling gloves and just cut into each plum to make sure there were no grubs hiding away. Having already tried damson crumble this year, I wanted to preserve these so that they could be enjoyed for longer. 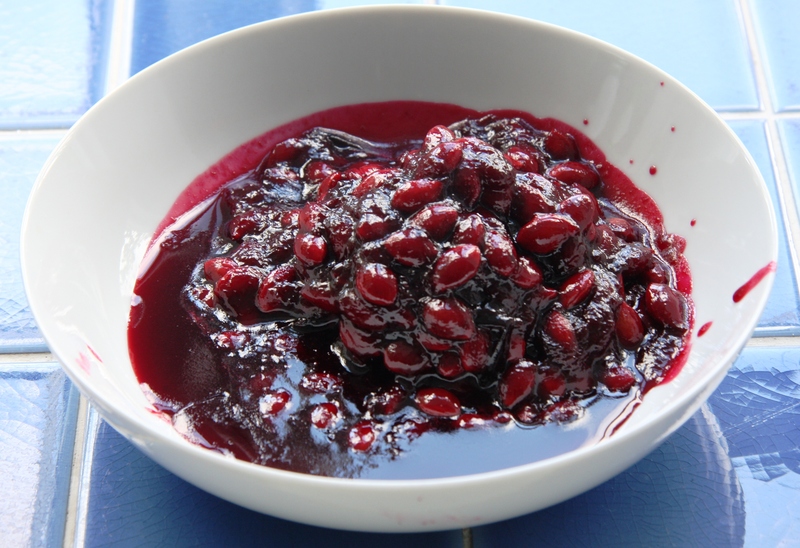 As well as tasting delicious, damson jam really is a beautiful colour so it seemed like the best way to use them. I saved the removal of the stones for after the jam was made and although it is still quite time consuming, it is probably the easiest method. Ideally you want to end up with stone-free jam but it’s a good idea to give it away with a warning, just in case! 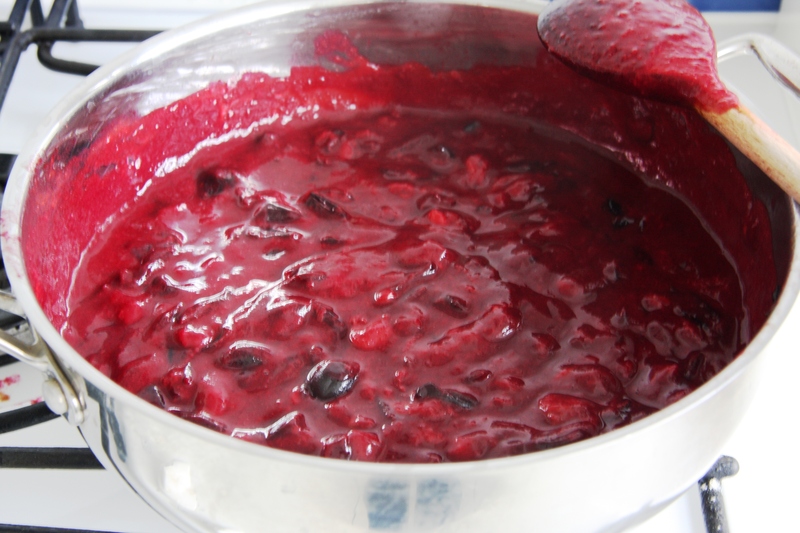 To make your jam you need to first weigh your damsons: you’ll need an equal weight of sugar. I added the juice of a lemon as well, just because I had one and it helps with the set and the clarity. 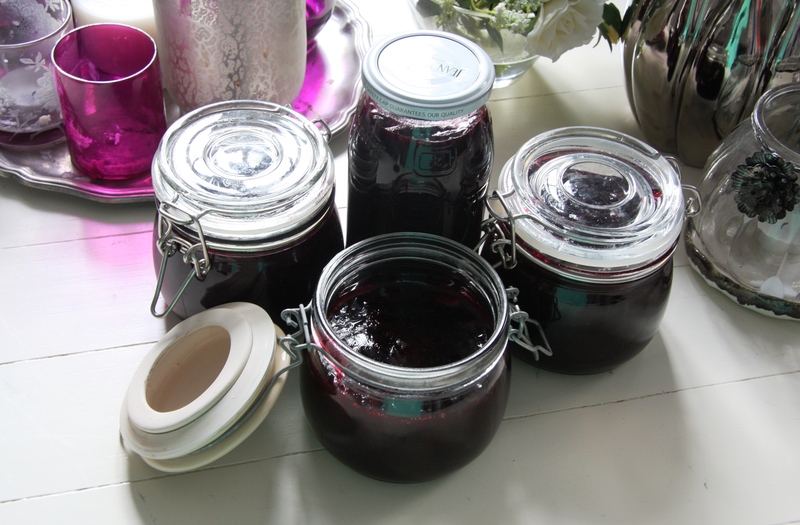 Put your clean jam jars into the oven and heat to sterilise. Add a little water and heat the prepared damsons until the juice starts to run, the stones start to detach from the fruit and the flesh is soft. 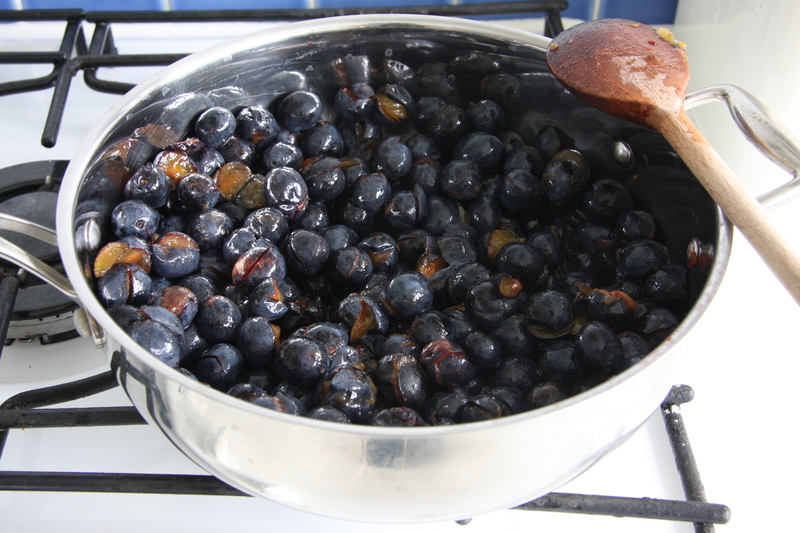 When the damsons are ready, add the sugar and stir until it has fully dissolved. Turn up the heat and bring to the boil. Add the lemon juice if you are using it. Skim off the stones: I used a slotted spoon. It is still very difficult to get just the stones but you will be able to use the extra jammy bits. Boil until the jam reaches setting point (see my blog post here for further information on jam making if necessary) and then turn off the heat and allow to cool for a few minutes before pouring carefully into the heated jam jars. This haul should last a while! That looks delicious! We recently found a damson tree too, we spent the first five minutes thinking we had just found some really big sloes though! I really want to try a jam,but we’ve already started to make damson wine……I think I might have to go out and pick some more! I thought I had found large sloes the first time too! 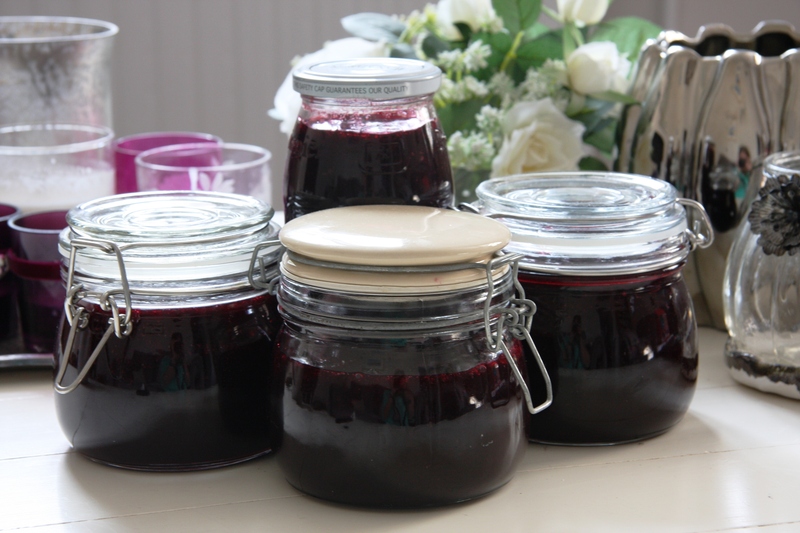 Damson wine sounds delicious and I hope you manage to make some jam too – it’s such a beautiful colour! Hello there! Are you in the US?